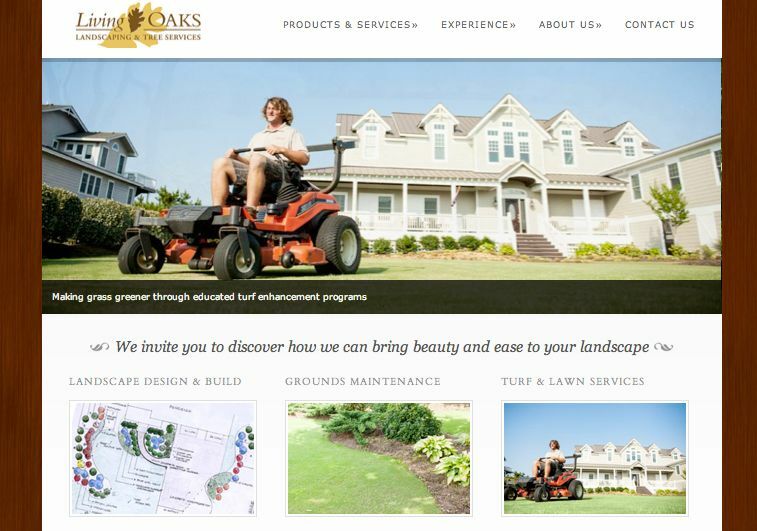 A simple informational website developed for Living Oaks Landscaping to have an online presence and be able to showcase their work and list out their services. 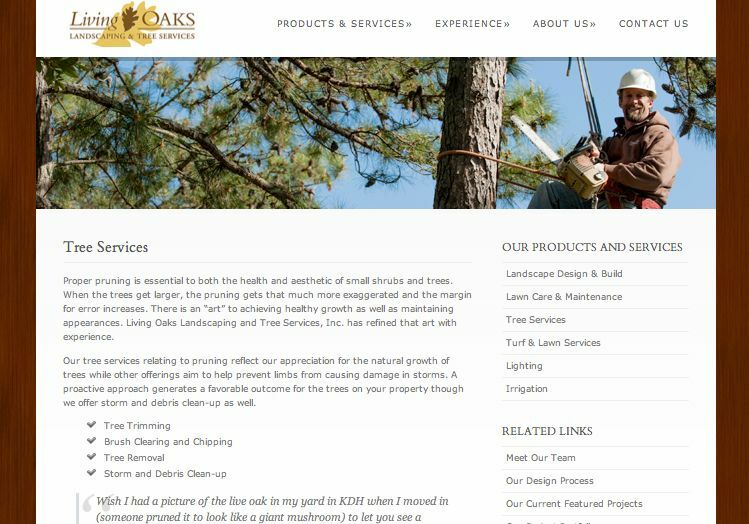 The website features a portfolio gallery featuring some of the best work by Living Oaks broken down into a few different categories of services so you can easily find what you’re looking for. 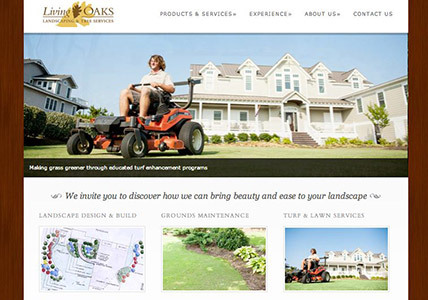 The website maintains the already established brand through use of the same colors and style as the logo and other work produced for Living Oaks Landscaping.